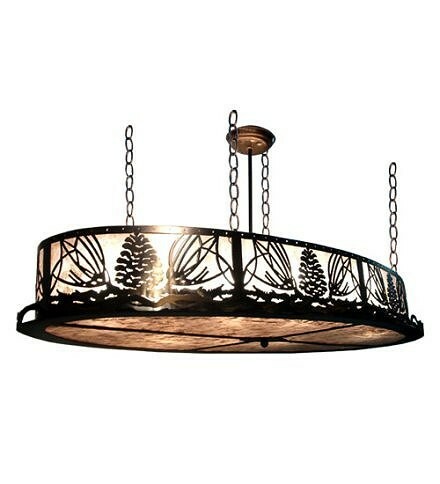 This pine cone and needle patterned oval pendant light with pine branch accents is suspended from chains. 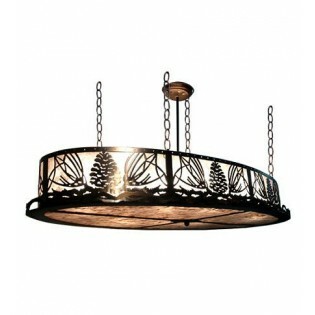 The Rustic Pinecone Island Pendant is illuminated through silver mica panels and has a antique copper finish. This pine cone and needle patterned oval pendant light with pine branch accents is suspended from chains. The Rustic Pinecone Island Pendant Light is illuminated through silver mica panels and has a antique copper finish.